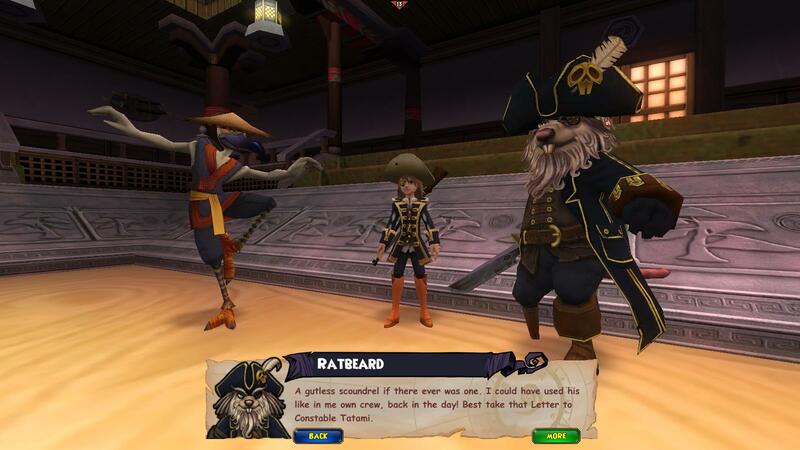 My last Pirate101 questing update described my wedding adventures and how I found out that Egg Foo Yung is the true Yakooza leader. Since then, I’ve gotten into a whole mess of trouble. Read on to find out what I mean! General Tso had been sponsoring bandits in Sujimura Village, so I made my way there in an effort to find something that would reveal his treachery. After fighting through waves of henchmen, an Inoshishi Chief gave me an incriminating letter that he was originally going to burn. That letter led me to the real Inoshishi Clanlord’s hideout. Well, it worked out in our favor. 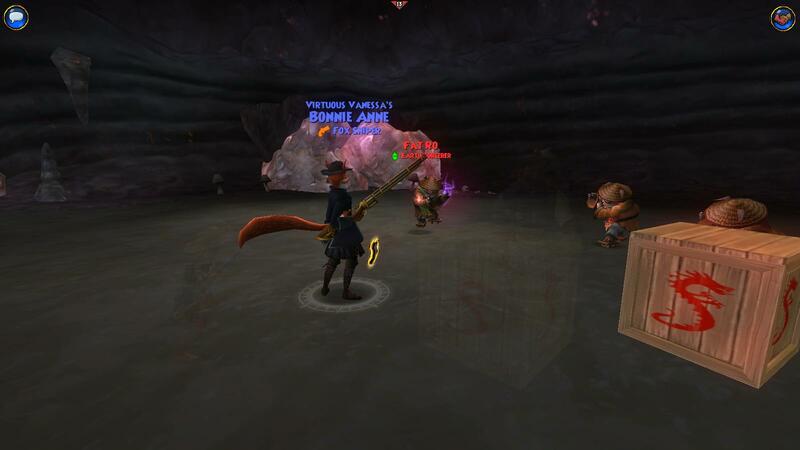 Inside the Clanlord’s hideout was a large barrier blocking the way. In order to get past it, I needed to collect three Tailsmans – one for each of the magic types used to create the barrier: Earth, Wind, and Fire. Once I obtained all of the needed Tailsmans, I confronted the Inoshishi Clanlord. My crew and I swiftly took him out, but he warned us that we were too late. In the event that the Clanlord was telling the truth, I sought out the Mayor to warn him of any danger. Once I arrived, he told me that the bandits stole all of the boats and were on their way to Yama Kai. Yama Kai is the home of the Holy Sage, Wan Mo, and it was up to me to get there first! 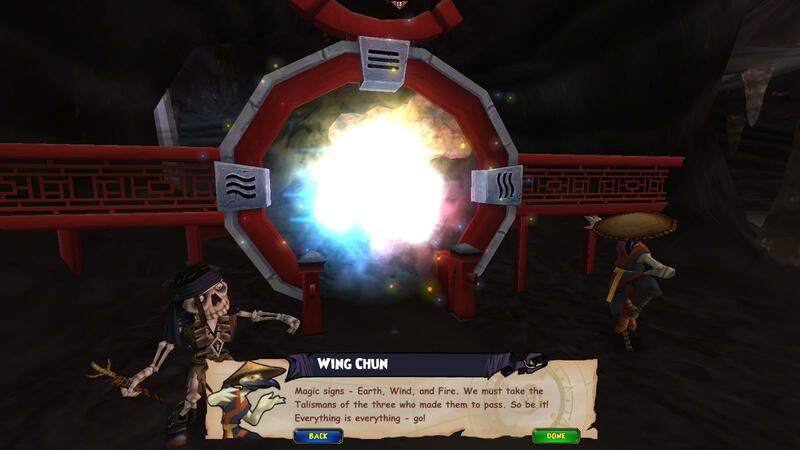 Wan Mo gave me a quick backgrounder on Mooshu’s current predicament, but just as he was about to tell me the name of the most evil man in Mooshu … something happened! A handprint with traces of orange mud led me to the Cave of Whispers where ninjas were everywhere! It turned out that General Tso’s right hand man, Doctor Noh, hired the Ninja Pigs to hurt many people – the Mayor being one of them! After I saved the Mayor from certain death, I made my way back to Egg Foo Yung hoping that he could tell me where Doctor Noh is. It’s only a matter of time before I bring General Tso and Doctor Noh to justice!